Since the late 2000s, Kate Steciw’s reconsideration of the materiality, mutability, and temporality of image culture – the terms of which are set beyond the confines of art – has been at the forefront of radical creative practice. 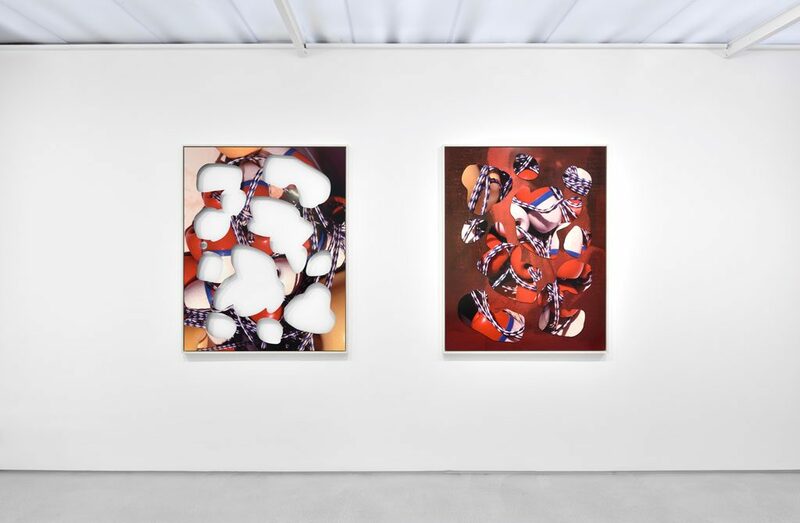 Her sculptural encounters with the photographic embody the subjective possibilities of our contemporary image environment at large and its lexicon of automation, repetition, and versioning. 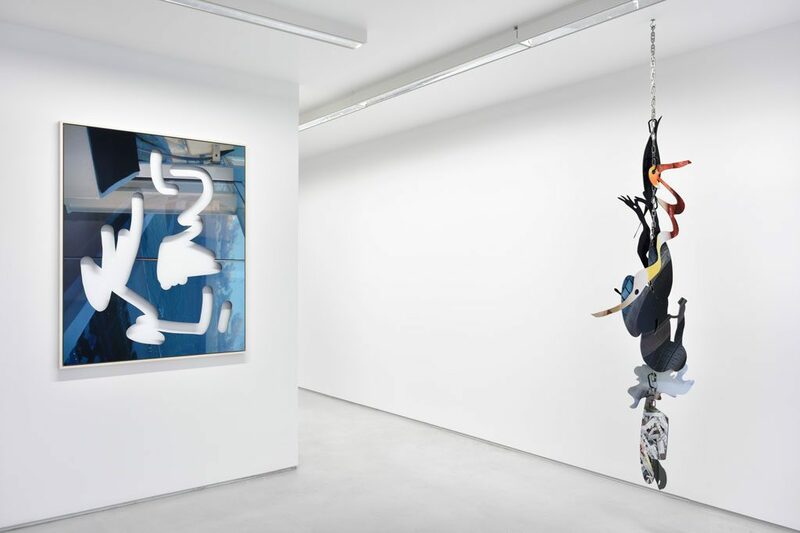 This exhibition is the new iteration of Steciw’s profound grasp on the “behavior” of images and how their state of contingency can be harnessed within the production of art. As with each installation of her work, Steciw rephrases previous investigations, combined with new departures and additions. 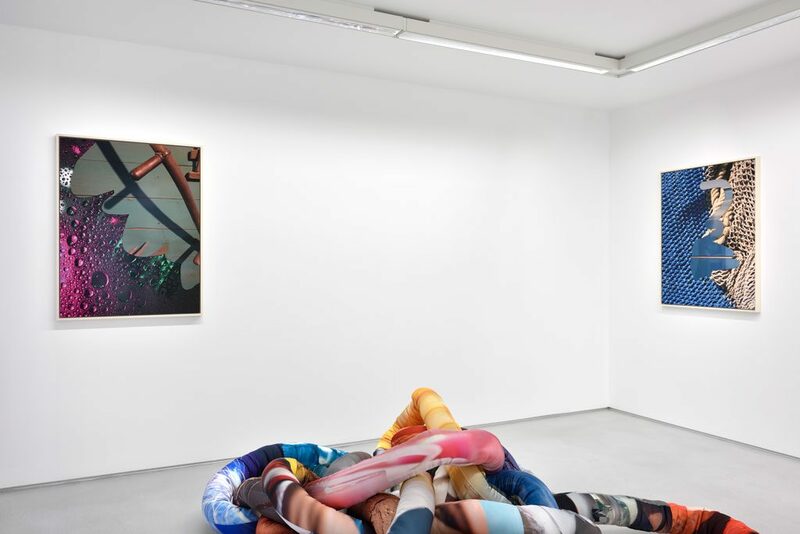 We see her established interest in the scope of printing platforms – represented here by new processes for printing images onto fabrics and metal substrates – and her pushing of their commercial default settings into unexpected physical forms. 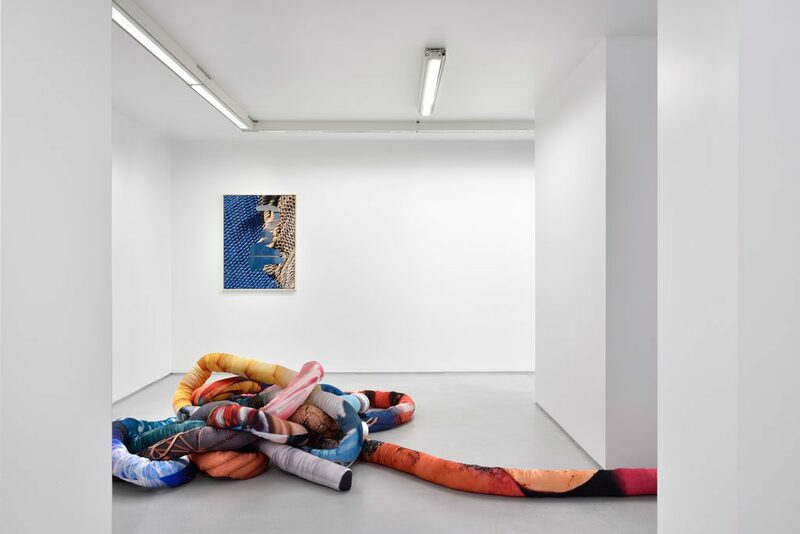 Steciw’s hallmark use of imagery that re-appears throughout a suite of works continues in this exhibition and conveys the sense of an image existing simultaneously in multiple places and various surfaces, inviting us to adopt a form of viewership where formal and material connections are made. 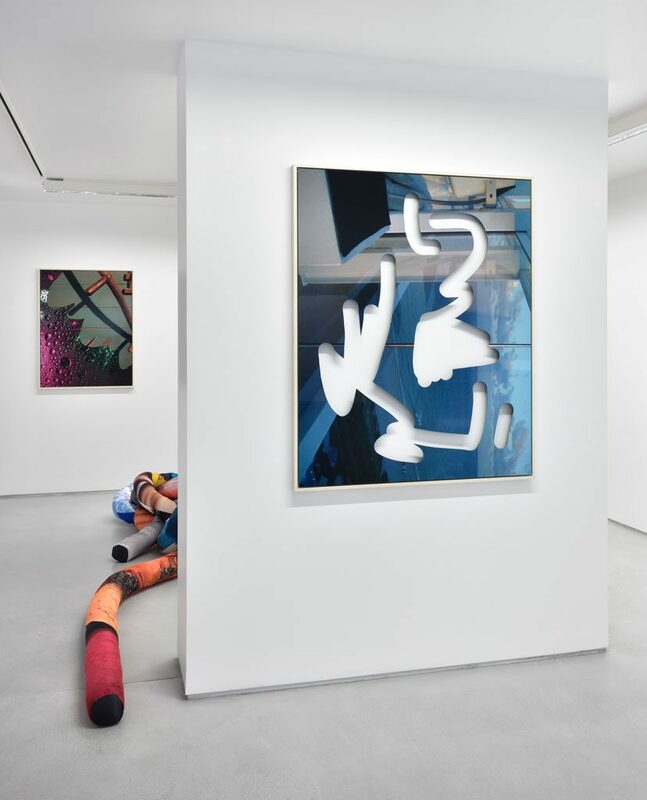 The two most deliberate additions that are manifest in the works shown in this exhibition concern the source of images, and the overlay of ideograms – departures that amplify the personal and subjective trajectory of Steciw’s current practice. Her own snapshots are combined with no differentiation into the visual material she draws from stock photography sources, and purposely complicate the signifiers of attachment and detachment to traditionally distinct image types. 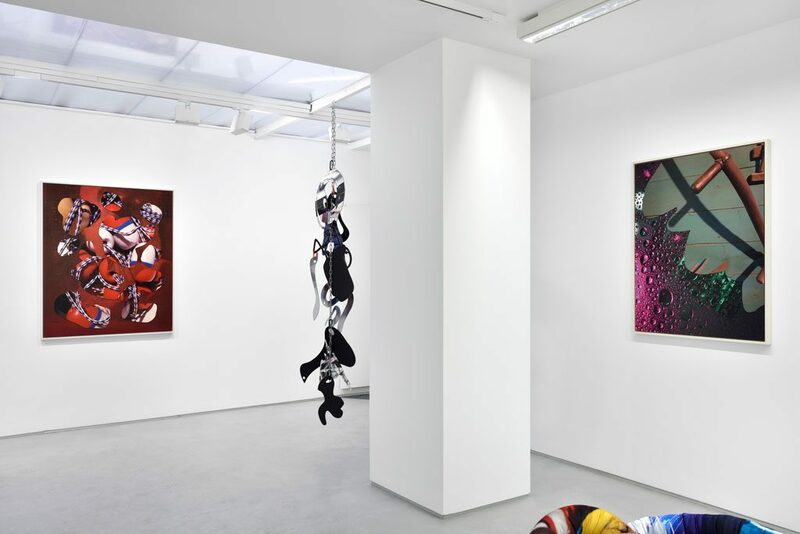 Steciw also introduces digital gestural flourishes, which repeat as cut outs and collaged overlays through the exhibition, not unlike her use of mass-produced stickers and decorative details in previous bodies of work. The wrapping of her own mark-making into the realm of the systems driven and mechanically rendered is a startling and exciting declaration of her signature within our visual terrain. Kate Steciw Solo show exhibition views. Courtesy the artist and Galerie Christophe Gaillard. Photos: Rebecca Fanuele.